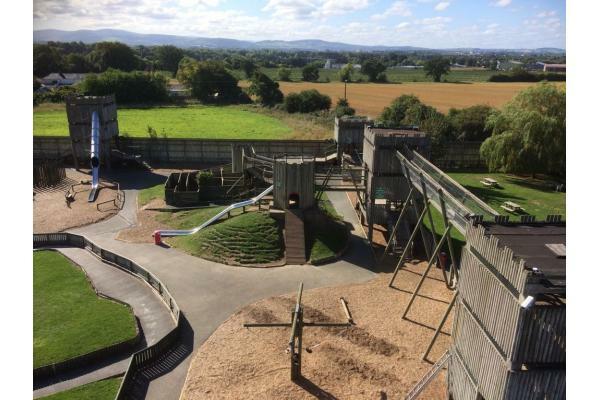 Kids create their own adventures as they discover secret slides, climb 40 foot towers and high walkways before zipping across the aerial runways. 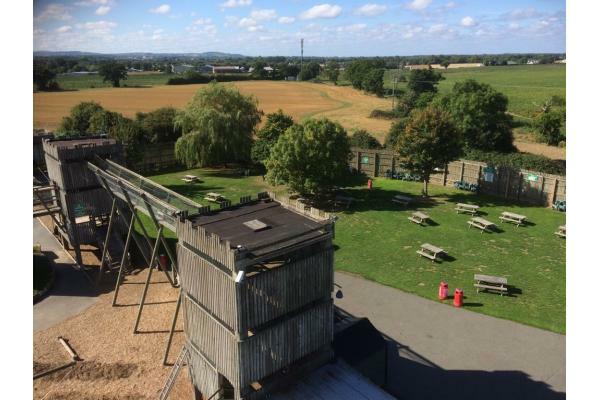 Escape your friends in the maze or challenge them on the army-style assault courses. Kids can take on the awesome bends, twists and drops of the Raging River. 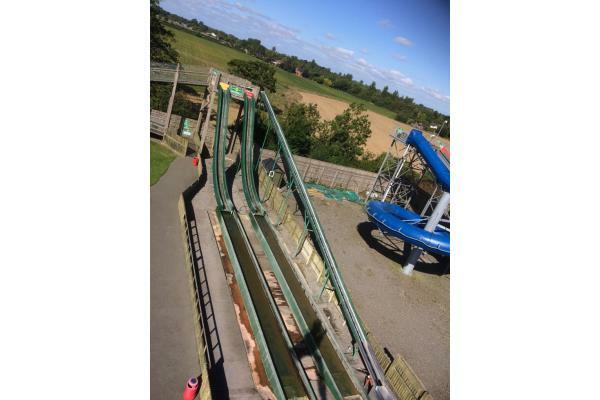 The really brave will ride the famous Waterfall water slide, spin around on the Helter Skelter and then challenge their parents on the Viking-Themed Crazy Golf, test their driving skills on the Go-Karts and discover Secret Slides, Towers, Ariel Runways, the maze, assault courses and High Walkways as they create their own adventures within this fully supervised outdoor playground. 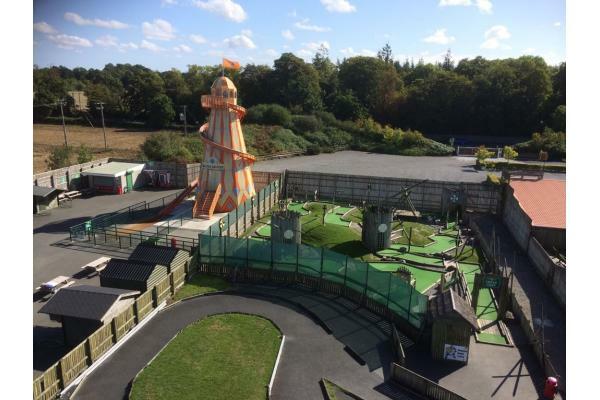 Fort Lucan also has an under five’s area for small children and a cafe selling pizzas, sandwiches, nuggets / sausages & chips. 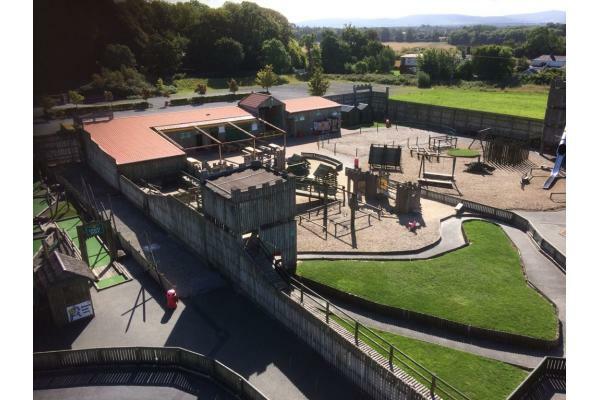 Adults: €5 - Includes one free tea or filter coffee from the Fort Lucan café. Raging River €4 per raft, each raft takes 2 children. Waterfall & Helter Skelter €1.50 per ride. The wristbands allow the bearer unlimited turns on all the rides. Tickets and wristbands are only valid on the day of purchase. Groups / school tours of over 20 children are €11.50 entry each. We also cater for all types of parties! Includes one free tea or filter coffee from the Fort Lucan café. We have a small cafe serving sandwiches, sausages, nuggets and chips and pizza. 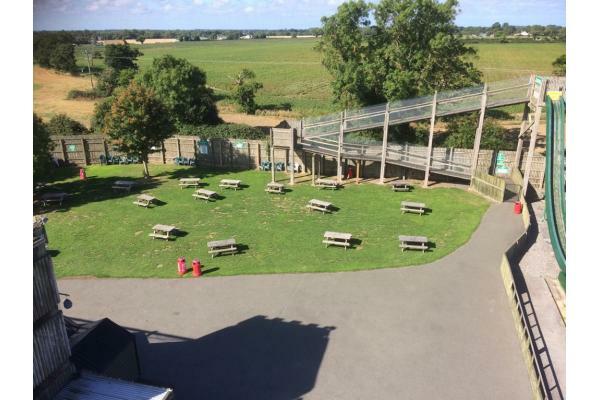 You are also very welcome to bring your own packed lunch and avail of our picnic area. Please ensure that all children planning to use the water slides bring change of clothes & shoes. We will reopen April 13th 2019 for duration of the school holidays.